Commercial radio licences are awarded by government body Ofcom, which advertises a licence for a specific area and holds a contest to determine which station will be granted permission to broadcast in that area. Stations submit detailed application documents containing their proposed format and the outcome of research to determine the demand for their particular style of broadcast. Most commercial stations broadcast to a city or group of towns, or regional stations covering larger areas. Many local and regional radio stations are owned by large radio groups which broadcast a similar format to many areas. The largest operator of radio is Global Radio which bought the former media group, Gcap Media. It owns Classic FM and London’s most popular commercial station, 95.8 Capital FM. Other owners are Bauer Radio and UTV Radio, which mainly own stations that broadcast in highly populated city areas. Since 2006, many of the UK’s commercial radio stations have been restricting live stream access to users from the United Kingdom only. This came as a response to PPL’s announcement that they would only grant radio stations the webcasting rights to stream to audiences within the UK only, or to face additional costs. Many of these stations are available free-to-air on satellite. Absolute Radio, is one of the UK’s three Independent National Radio stations. The station rebranded to its current name on 29 September 2008. The station is based in London and plays popular rock music. It currently broadcasts on 1215 kHz medium wave and DAB across the UK, on 105.8 FM in London, Sky (channel 0107), Virgin Media (channel 915), Freeview (channel 727) and Freesat (channel 724). It is also available in other parts of the world via satellite, cable, and on the Internet. Absolute Radio is a patron of The Radio Academy. Rock A sister station to Absolute Radio, Absolute Classic Rock, is a radio station broadcasting to London via DAB, Virgin Media, Sky and worldwide on the internet. Absolute Classic Rock is part of the Absolute Radio Network. Launched by Absolute Radio to complement its decade format radio stations, it first aired on 22 November 2011, debuting a week before Absolute Radio 70s. The station broadcasts through Digital Audio Broadcasting (DAB) on the Digital One multiplex in some areas of the UK, and is also available online, where it can be accessed using Radioplayer. Absolute Radio 60s was the first UK radio station to be dedicated solely to music from the decade. Absolute Radio 70s is a British radio station dedicated to music from the 1970s. Launched by Absolute Radio to complement their decade format radio stations, it first aired on 29 November 2011, debuting a week after Absolute Radio 60. Absolute 80s, is a digital radio station in the United Kingdom catering for “reluctant adults” who want to reconnect with the tunes of their 80s youth. Available on: DAB Digital Radio throughout the UK on the Digital One Multiplex Freesat Channel 726 Sky Channel 0200 Virgin Media Channel 951. Absolute Radio 90s is a spin-off service from Absolute Radio. Like Absolute 80s, this DAB spin-off service is a rolling music service which plays music from the 1990s. Some of the artists which feature on the service include Blur, Oasis, The Chemical Brothers, Guns and Roses, Portishead, The Stone Roses, Radiohead and Primal Scream amongst others. Absolute Radio 00s, or Absolute Radio Noughties, is a spin-off service from Absolute Radio. In the same format as Absolute 80s and Absolute Radio 90s, the station is a rolling music service which airs music from the period 2000-2009, focusing chiefly on rock, alternative, ‘credible’ pop and hip-hop/urban crossover music. It launched on the 10 December 2010 on the Switch London DAB multiplex. Fun Kids is about providing good quality programming to entertain children between the ages of three to eight but with enough to distract those a bit younger and a bit older too. As will come as no surprise, this includes a lot of songs! Some are from TV shows or kids’ films, some are from nursery rhymes and others from the charts. Some are from nowhere in particular but we know that a high proportion of five year olds stand up and jiggle when they come on. Gaydio is a radio station for the lesbian, gay, bisexual and transgender (LGBT) community in the United Kingdom, broadcast on 88.4FM in Greater Manchester, on DAB digital radio in Greater London, parts of the Home Counties and the Sussex coast, and online through their website and the UK Radio Player. Gaydio became the UK’s first LGBT FM radio service when it launched full time on Friday 18 June 2010, expanding into digital radio when it acquired Gaydar Radio in 2013. Due to different licence requirements, Gaydio has to split its programming at various points during the day. Community-based programming for Manchester is broadcast on their FM frequency and online, while the DAB channels carry mainly music programming. 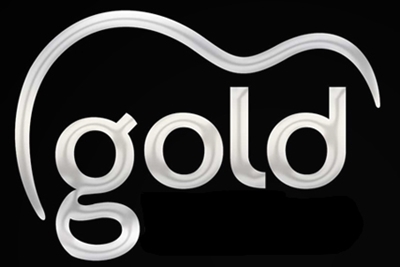 Gold was formed in August 2007 following the merge of the Capital Gold and Classic Gold radio networks. Aiming to deliver the widest breadth of music currently available anywhere else on commercial radio, Gold plays the greatest songs from the last five decades and entertains with a variety of specialist music shows, exclusive interviews, free downloadable celebrity podcasts, special guest DJs and VIP gigs. Gold is available on satellite as a free-to-air station, On Sky, Virgin Media, Tiscali, Online and on DAB. Gold aim to deliver the widest breadth of music currently available anywhere else on commercial radio, Gold plays the greatest songs from the last five decades and entertains with a variety of specialist music shows, exclusive interviews, free downloadable celebrity podcasts, special guest DJs and VIP gigs. Heat Radio – digital radio station that broadcasts to the UK on DAB. Playing mainstream pop, chart, rock and dance music, website information about the daily schedule, latest celeb gossip, news, movies, tv and sport. The station is owned by Bauer Radio, a division of the company, Bauer which owns the magazine. The station can be listened to through digital television (Sky 0179 & Freeview 714) and through DAB radio. It can also be listened to through a live steam on the website, though the Live Stream is restricted to UK IP addresses. Shows are presented by Lucie Cave, Bronagh Meere, Paul Coyte, Andy Wood and Rachael Hopper. Celebrities often present shows on a one week contract. Kiss is a UK radio station broadcasting on FM and National DAB, specialising in hip hop, R&B, urban and electronic dance music. It also broadcasts on DAB Digital Radio around the UK & nationally on Freeview, Sky and TalkTalk TV. The Station forms part of the Bauer Passion Portfolio. In February 2013, Kiss owner Bauer Media has confirmed it will drop the station from local stereo DAB slots in favour of a national mono channel, running at 80 kbit/s. Kiss 100 presenters across the day include Rickie Haywood Williams & Melvin, Justin Wilkes, Neev Spencer, Jez Welham, Martin Archer and Freddie Smith. Specialist output begins at 10pm, AJ King presents Evenings during the week, but Fridays are controlled by DJ EZ from 10pm – 12am the music at this time is UK garage and weekend shows include Hed Kandi Mix & The KISS Hip Hop Show. LBC Radio (originally the London Broadcasting Company) operates two London-based radio stations, with news and talk formats. LBC was Britain’s first legal commercial Independent Local Radio station, providing a service of news and information to London. It began broadcasting on 8 October 1973, a week ahead of Capital Radio. The launch of LBC also saw the beginning of IRN’s broadcasting, as LBC provided the service to independent local radio stations nationwide. In April 2007 a new marketing slogan for LBC 97.3: “London’s Biggest Conversation”, a play on the initials, was introduced. LBC is currently owned by Global Radio. LBC 97.3, is available on FM in London, on DAB in some areas, on satellite and via a live stream on the LBC website. LBC News 1152 is a 24 hour news and information radio station broadcasting in Greater London on AM, DAB and online. Apps are also available for Android and iOS. Ministry of Sound the biggest brand on the planet when it comes to dance music, MOS living for the weekend. Current MoS radios DJs include Lottie, Alistair Whitehead and Rob Roar, Mutiny, Hed Kandi residents David Dunne and Andy Norman, Matt Jam Lamont, Ross Allen, Jazzy M, Bill Brewster, Jon Gurd, Andy Farley, Darren Tate, Matt Darey, Above and Beyond, Adam White, BK, Guy Ornadel, J00F, and Graham Gold. From March 2007 the station expanded further launching two on-demand channels offering non-stop chill out and underground sessions. The current team continues to syndicate radio shows around the globe as well as running the online stream and on-demand options. The station is not available through any terrestrial transmitters either analogue or digital and is currently no longer carried on satellite. The station is broadcast on a live Internet stream, no UK IP restrictions apply. Radio Caroline is a British radio station founded in 1964 by Ronan O’Rahilly to circumvent the record companies’ control of popular music broadcasting in the United Kingdom and the BBC’s radio broadcasting monopoly. Over 40 years ago a young Irish entrepreneur Ronan O’Rahilly founded Britain’s first offshore radio station. Radio Caroline instantly became a household name. Caroline’s continued existence became a lifetime mission for Ronan. Since starting a Sky Channel listing in June 2006 Radio Caroline has continued to receive a flow of e-mails from past listeners who have rediscovered the legendary station. Radio Caroline currently broadcasts 24 hours a day via the Eutelsat 28A satellite at 28.5°E, on the Internet and by occasional Restricted Service Licence. Radio Caroline broadcasts music from the 1960s to contemporary, with an emphasis on album-oriented rock (AOR). The company also licenses other stations around the world to use the Radio Caroline name. Radio Jackie, is a local, independent, commercial radio station, broadcasting across SW London and North Surrey to c. 800,000 people, live, 24 hours a day. The station broadcasts on 107.8 MHz FM and online. Radio Jackie is South West London’s original pirate radio station. The first broadcast was in March 1969 from a studio in Sutton and lasted for just 30 minutes. Within a short while Radio Jackie was on the air every Sunday giving a growing band of listeners their first taste of truly local radio. Real Radio is a brand of independent local radio stations owned by GMG Radio. The brand was developed by John Myers in 2000. Myers was also responsible for the similar early format of the Century FM radio stations, which were rebranded as Real Radio (North East and North West) in March 2009. 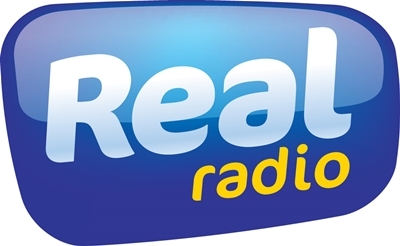 Real Radio (Wales) 105–106FM and on Sky Channel 0146. Real Radio has News on the hour, every hour, 24 hours a day, provided by Real Radio journalists. In addition they also take Sky News Radio after midnight. Live Streams are restricted to UK IP addresses. 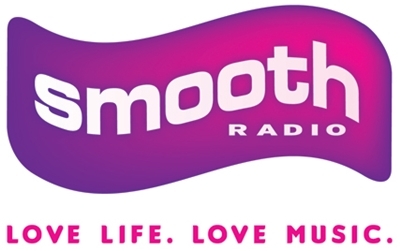 Smooth Radio is a wholly owned subsidiary of GMG Radio Holdings Limited. GMG Radio is one of the UK’s largest radio groups and operates stations across the UK under the brands of Real Radio, Century Radio, Smooth Radio & Rock Radio. More information about the group.GMG Radio is a wholly owned subsidiary of Guardian Media Group plc (‘GMG’). Guardian Media Group is one of the UK’s leading multimedia companies. Following owners Guardian Media Group’s acquisition of the three Saga stations, they decided to change the name of them, along with the North West England and London versions of Smooth FM, to simply Smooth Radio. The station’s Live Stream is restricted to UK IP addresses. Solar Radio is an independent radio station which bringing you the best in soul, jazz, funk, r&b, listen in online live. The Deep End Sessions happen on Sunday mornings from 4 to 8am with regular hosts, Kev Beadle and Steve Johns dropping the deepest sublime leftfield grooves plus mixes from nu jazz artists and labels from across Europe. 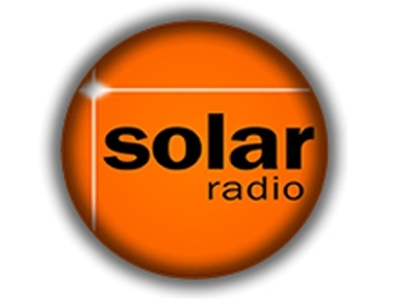 From its origins in the heady days of soul pirate radio in London, to the new media opportunities of the Digital age, Solar Radio has remained committed to bringing quality Soul-related music to a wide audience, with every DJ having complete freedom of choice. The station is available on satellite and via a live Internet strean. talkSPORT, owned by UTV Radio, is one of three terrestrial analogue Independent National Radio broadcasters, offering a commercial sports and talk radio service from London to the United Kingdom. Its content includes sports phone-ins and discussions, live sports commentaries, and general phone-in discussions. It is transmitted on 1089 and 1053 kHz across the UK and digitally via DAB digital radio, Freeview, Sky, Virgin Media and Tiscali TV. talkSPORT is also streamed online; however, due to rights restrictions on live coverage, some live sport commentaries are not available online. The Arrow is a radio station playing rock music. It broadcasts across the UK on DAB Digital Radio (in selected areas). It is also broadcast on Sky Digital channel 0161, Virgin Media channel 921 and Tiscali TV, and streaming online. 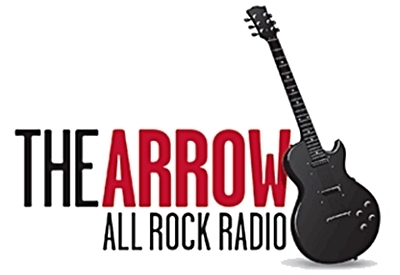 If you love rock music and your tastes range from legends like the Rolling Stones, Bruce Springsteen, and Led Zeppelin, to the contemporary sounds of Coldplay, Oasis, the Red Hot Chili Peppers and The Killers, you’ll love The Arrow. The Arrow plays lots of music, but without too many interruptions. On DAB you can see the title of each song as it plays, and the artist or group name too. The station is owned by Global Radio, the largest in the country following acquisitions of Chrysalis Radio in July 2007 and GCap Media in June 2008. The Hits Radio is a popular mainstream music channel operated by Bauer Media. The station presents a mix of music genres along with chat and regular news updates. It has the same logo identity as the former The Hits television channel. The station broadcasts its shows as voice tracked and simulcast individual shows from various stations within Bauer Radio’s Big City Network. These shows are sent to The Hits studio base in Manchester (also base of Key 103), where shows are mixed and played out. The Hits is available on Freeview channel 711, online (he station’s Live Stream is restricted to UK IP addresses), on Radioplayer, there is an official app available for iOS devices, though not for Android or Windows Phone. The Hits is available on a free Android app (UK Radio LITE) and on many Wi-Fi radios without UK ip restrictions. Xfm focuses on alternative music, primarily indie, and is owned by Global Radio. 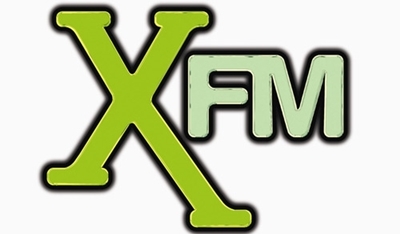 Xfm was created in 1997 in London, but has since expanded to several stations. Each station produces its own content, with little syndication. XFM is now available across most of the country via DAB. and digital satellite.